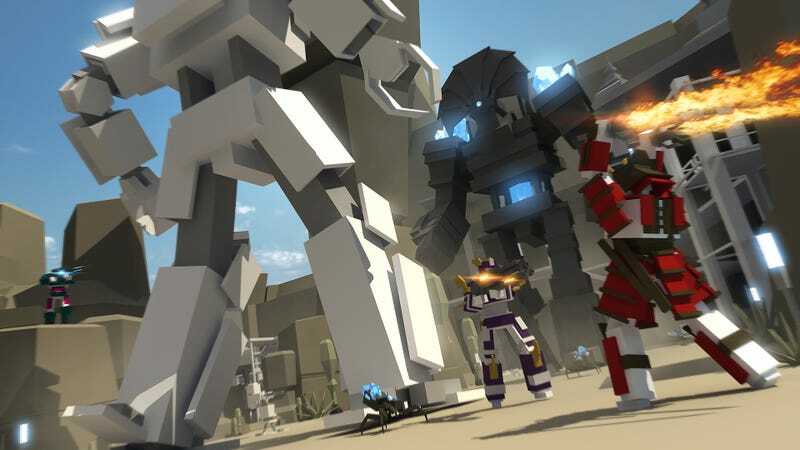 Minimum, a stylish online shooter, has been mysteriously offline since September 2015. 141 days later, there’s still no word on when it’ll be playable again, and the game’s publisher, Atari, can’t say when that might change. Minimum was originally created by TimeGate Studios, but the developer eventually went under. Later, Atari and Human Head Studios jointly took over. We are anticipating some disruption with our Account/Server system, which may affect user ability to login to the game over the next few days. We are working to resolve this as quickly as possible. We will update as soon as additional information is available. We will need a few weeks to get this implemented, but the result is a Minimum game experience that is more flexible, more stable, and just as much fun. We are aware there is lots of concern and discussion in the community. We are hearing these voices and we are doing everything we can to get the game back up as quickly as we can. Thanks again for your patience, and stay tuned as we get more visibility into details, timing, and feature tweaks. As the year went on, nothing changed. The game remained offline. Tick, tock. The game’s previous developer, Human Head, told me they stopped working on the game in February 2015, long before Minimum’s servers went dark. On December 10, Atari announced a new developer had been brought on board to get Minimum “back up and running.” The company said it was able to play games internally, apparently a signal of progress. The new deadline? Early 2016. Again, we truly appreciate your patience as we work through the process of rebuilding the Account and Server structure for Minimum. We understand this is an inconvenience, and we are working as quickly as possible to get everything resolved. Mid-February would seem to qualify as “early 2016,” yet there’s been no update to Minimum fans about what’s happened to the game they paid for. That’s not exactly an answer, and it’s not clear when Minimum will be online.